As a mom of two toddlers, with one going to language school everyday, my main concern has been trying to keep them from getting sick. We all know that once your child starts school, she'll be exposed to a lot of viruses, and thus will be constantly down with something. For three weeks now my kids have the flu. It usually starts with my daughter, because she's the one going to school. Then she'll pass it on to her little brother. Now both of them have it. Obviously, for this reason my first fave essential oil recipe to diffuse would be for their immune system. I would, from time to time, diffuse something to help keep them healthy, aside from using the immune booster roller blend that I made. Prevention is better than cure, so naturally, this is on the top of my fave list. This recipe not only works on my kids, but I believe it also helps my immune system. Since they've been sick, I've stayed healthy. No flu. No cough. Mommies, you should definitely try this. This recipe is also great if you want to just reflect and relax. This recipe is what's currently in my diffuser. Now that my kids still have the flu, it has become a favorite. Sometimes I diffuse it when I feel like they're about to go down with the flu. But these days, it has been the only thing I diffuse. I find that Eucalyptus Radiata works well with their congestion too. This recipe is my laid-back-Sunday recipe. When I've finished all chores and want to feel relax and "happy", I diffuse this. When the whole family is chilling, I diffuse this. It just helps set the mood for a nice, fun family day. These recipes are great for children 1 year old and above. You may use lesser drops of oils for younger children. And remember, diffusing for about 20-30 minutes at a time is enough to get the benefits of the oils to your system. You don't really need to diffuse them longer. 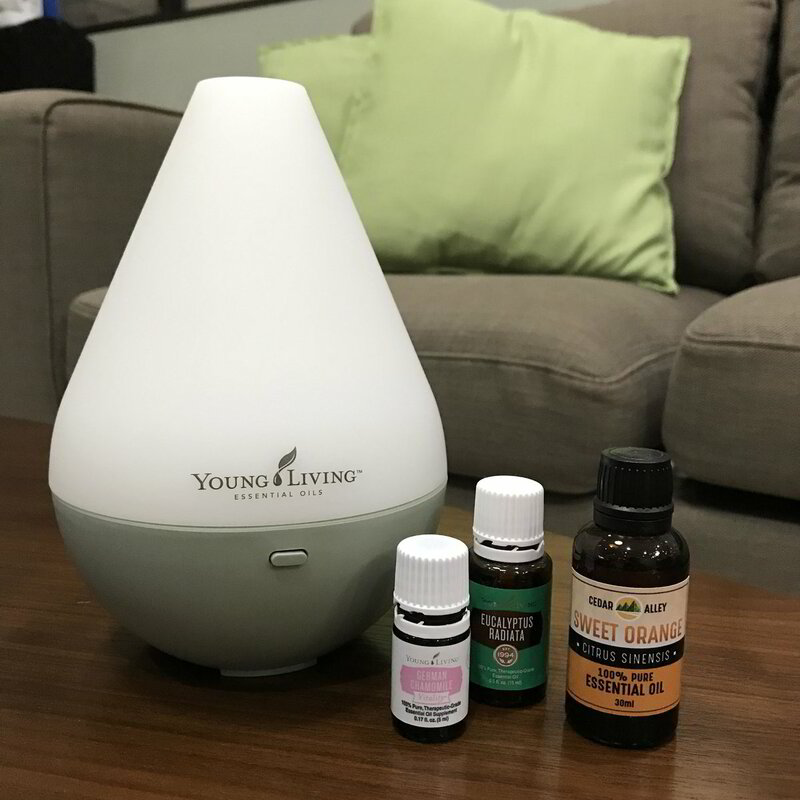 Although I use mostly Young Living essential oils, I'm impartial and is open to try other brands like my Sweet Orange essential oil, which I got from a local company (Cedar Alley) here in the Philippines. I hope you find this post helpful. Do let me know what you think of the recipes once you've tried them. And share your own blends in the comment section below!